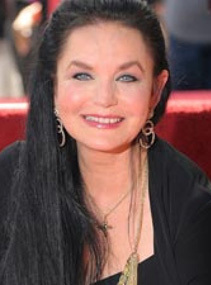 January 9 — Crystal Gayle, an award-winning country music singer, is best known for her 1977 country-pop crossover hit song, "Don't It Make My Brown Eyes Blue." During the 1970s and 1980s she accumulated 20 No. 1 country hits with six albums certified gold. Gayle became the first female artist in country music history to reach platinum sales with her 1977 album We Must Believe in Magic. Also famous for her nearly floor-length hair, she was voted one of the 50 most beautiful people in the world by People Magazine in 1983. She is the younger sister of singer Loretta Lynn, who once told her, “You record what I couldn't record—you do MOR,” middle of the road, "and that was the best advice I could get. I don't think I ever would have made it if I went down the road and did the music my sister did. I would only have been compared to her." Gayle had her greatest success from 1977 to 1989 when she did music considered crossover. Her hits included “When I Dream,” "Talking in Your Sleep," "Why Have You Left the One You Left Me For," "Half the Way," "It's Like We Never Said Goodbye," "You and I" (a duet with Eddie Rabbitt), "The Sound of Goodbye," "Turning Away," "Makin' Up For Lost Time,” "Cry" and "Another World." Gayle continues to perform and tour. 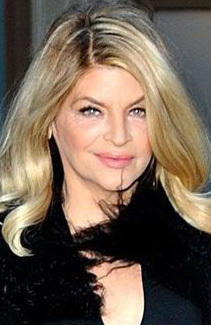 January 12 — Kirstie Alley, an American actress and comedian, is best known for her role in the TV series Cheers, in which she played Rebecca Howe from 1987 to 1993, winning an Emmy Award and a Golden Globe Award as the Outstanding Lead Actress in a Comedy Series in 1991. She is also known for her role in the thriller Shoot to Kill and the Look Who's Talking film series as Mollie Ubriacco. More recently, Alley has appeared in reality shows revolving around her life. Alley made her movie debut in 1982 in Star Trek II: The Wrath of Khan, playing the Vulcan Starfleet officer Lieutenant Saavik. In 1987, she joined the cast of Cheers, replacing Shelley Long and remaining on the show until its eleventh and final season. In 1989, Alley starred with John Travolta in Look Who's Talking, which grossed over $295,000,000 worldwide. They went on to make two other films centered on the same theme, Look Who's Talking Too and Look Who's Talking Now! In recent years, Alley’s weight gain and loss has received much public attention. In September 2012, she appeared on The Dr. Oz Show, where she said she spent her whole life eating obsessively. She has been a member of the Church of Scientology since 1979. 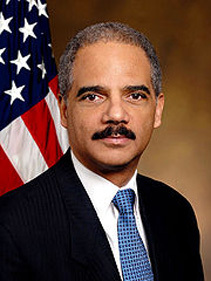 January 21 - Eric Holder, Jr. was the 82nd attorney general of the United States from 2009 to 2015. Serving in the administration of President Barack Obama, Holder is the first African American to hold the position of U.S. attorney general. Previously, he served as a judge of the Superior Court of the District of Columbia, after being appointed in 1988 by President Ronald Reagan. In 1993, President Bill Clinton appointed him United States attorney for the District of Columbia, the first black American in that office, and in 1997, nominated him the deputy attorney general under Janet Reno. While U.S. attorney, Holder prosecuted Congressman Dan Rostenkowski (D–Illinois) for corruption charges related to his role in the congressional post office scandal. During Obama's presidential campaign Holder was his senior legal adviser and one of three members of Obama's vice-presidential selection committee. During the Fast and Furious investigation (involving guns and the Bureau of Alcohol, Tobacco, Firearms and Explosives), he became the only cabinet member in U.S. history to be held in contempt of Congress. From 2001 until he became attorney general, Holder worked as an attorney at Covington & Burling in Washington, D.C., representing clients such as Merck and the National Football League. After he resigned as attorney general in 2014, he returned to Covington & Burling. The law firm's clients have included many of the large banks Holder declined to prosecute for their alleged role in the financial crisis. 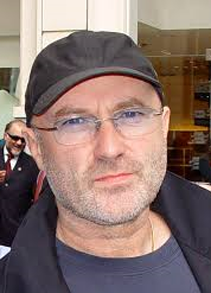 January 30 — Phil Collins is an English singer, songwriter, multi-instrumentalist, music producer, actor and author. He gained fame as both the drummer and lead singer for the rock band Genesis, as well as worldwide success as a solo artist. Collins sang the lead vocals on dozens of hit albums and singles in the U.K. and the U.S. between 1976 and 2010, either solo or with Genesis. He is among the best-selling music artists of all time, with 33.5 million albums sold in the U.S. and an estimated 150 million worldwide. He is one of three recording artists (along with Paul McCartney and Michael Jackson) who has sold over 100 million albums worldwide both as solo artists and (separately) as principal members of a band. AllMusic describes Collins as "one of the most successful pop and adult contemporary singers of the '80s and beyond." Collins joined Genesis in 1970 as the group's drummer and became its lead singer in 1975 following Peter Gabriel’s departure. In 1981, Collins launched a solo career. His best-selling singles include "In the Air Tonight," "Against All Odds," "Sussudio" and "Another Day in Paradise." His music has earned him seven Grammy Awards, six Brit Awards, an Academy Award, two Golden Globe Awards and a Disney Legend Award. Totaling his work with Genesis, other artists and his solo career, Collins had more U.S. Top 40 singles than any other artist during the 1980s. In 2008, Collins was ranked the 22nd most successful artist on the "Billboard Hot 100 All-Time Top Artists." Famous & 65 is a featured article in the January 2016 Senior Spirit newsletter.